Del Bueno will recall all 16oz. size packages of their Queso Fresco Casero Fresh Cheese. The recall is for product that is date stamped September 14, 2011. It has been determined that the recalled product has the potential to be contaminated with Listeria monocytogenes. Listeria monocytogenes was the culprit for two recalls last week. First, avocado products from Fine Mexican Food Products were recalled, followed by cantaloupes from Jensen Farms, Inc. The recalled cantaloupes proved to be far more of a concern though, as Federal officials say that the contaminated fruit may be linked to two deaths and twenty-two reported illnesses. Listeria monocytogenes is an organism which can cause serious and sometimes fatal infections in young children, frail or elderly people, and others with weakened immune systems. Unlike most other bacteria, Listeria monocytogenes can continue to grow in foods in the refrigerator. 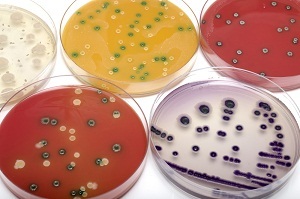 The bacteria can live for years in food processing factories. Listeria has been found in raw foods, including uncooked meats and vegetables, as well as processed foods that become contaminated after cooking, such as hot dogs and deli meat. As is the case in today’s reported recal, unpasteurized milk and cheeses are also likely to contain the bacteria. According to the CDC, approximately 1,600 persons become seriously sick with listeriosis each year, while yet approximately another 260 die. Listeria monocytogenes is the third deadliest foodborne illness in the United States, behind salmonella and Toxoplasma gondii, though it is reported that serious illness from Listeria monocytogenes is less common than it is from salmonella. Symptoms may include: high fever, severe headache, stiffness, nausea, abdominal pain and diarrhea. Listeria infection can also cause miscarriages and stillbirths among pregnant women, by infecting the placenta, the amniotic fluid, and the baby. Infected babies who survive are likely to be born prematurely, while others may be born severely ill or get sick soon after birth, with problems that can include blood infection, difficulty breathing, fever, skin sores, lesions on multiple organs, and central nervous system infections such as meningitis. Some newborns of infected mothers appear healthy at birth and first have signs of infection, usually meningitis, a week or even several weeks after delivery. Unfortunately, many infected babies will die or suffer long-term consequences.